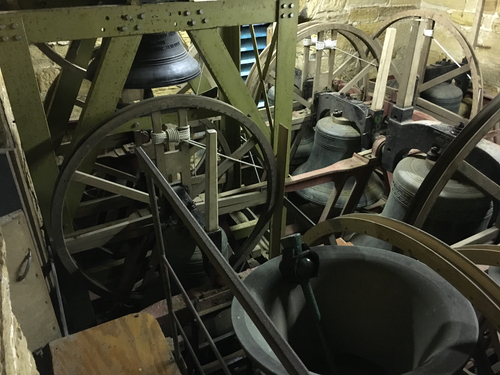 St.George’s has a ring of twelve bells in the key of E flat, the tenor weighing just over 18 cwt and the oldest bell in the tower dating from 1719. In 1971 they were tuned and rehung in a modern frame after the cracked treble bell had been re-cast by Taylors of Loughborough. In November 2003 four new light bells were added to the original ring of eight. They are now an exceptionally fine ring much in demand by visiting ringers. A dedicated band of ringers ensures that the bells are rung for Sunday services, weddings and special occasions. Full details, including contacts, can be found at http://www.benendenbells.co.uk.